‘The idea to found my own learning center came to me when I was a FLEX student. Teachers in my American high school encouraged us to do creative projects and think outside the box. This individual approach really inspired me. 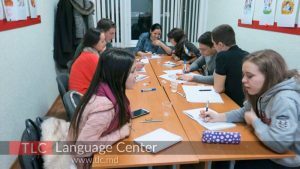 Years later, after my university studies in the U.S. and Germany, I founded an English language center in Chișinău and it is now ranked one of the top five schools in the entire country,’ says Valentina Brega ’04. TLC Language Center was set up in 2013 and in just three years the number of students increased rapidly – from 77 to over 500 students. The FLEX alumna is keen to develop a long-term relationship with every client. When selecting the right group she takes into account students’ personal circumstances. ‘I know each of my 500 students personally. Some need English for work while others require it for immigration or personal life. We adjust our teaching methods based on students’ needs and interests’, she shares. ‘When our students come to classes, they feel at ease and motivated. We also encourage them to tell us how to improve our classes’. As a result of this approach, many students bring along their family and friends. Thus, 95 percent of the school’s clients find out about the school not through flashy advertising, but by word of mouth. Not one to chase immediate profit, occasionally Valentina advises a student to try other learning centers. ‘That happens when I know that I cannot provide value for them. For example, we have excellent preparation courses for TOEFL and IELTS tests but we do not have anything for GMAT. So in this case I recommend somewhere else. I know that one happy customer brings several new ones with him’. 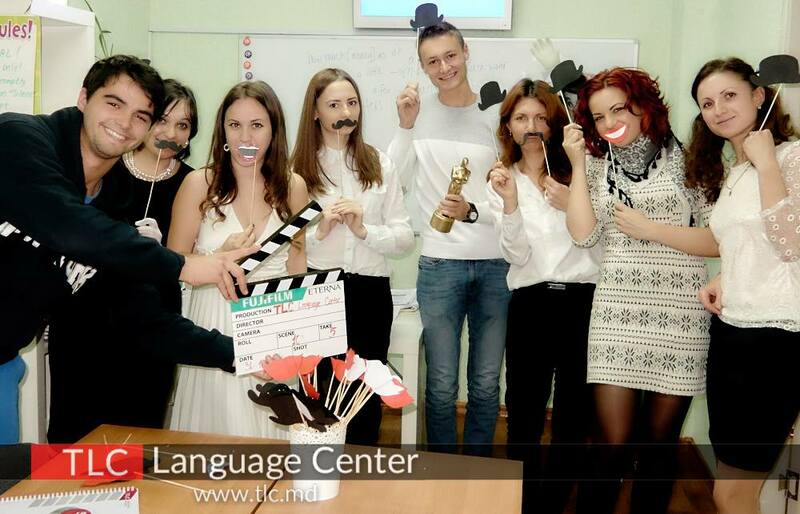 One of the main challenges for Valentina is to find highly-qualified English teachers in Chisinau. According to Wikipedia, almost 45 % of Moldova’s population is currently working abroad. Therefore, people who speak excellent English are usually the first ones to leave while few who stay in Chisinau prefer to work in more profitable sectors. ‘We look for good teachers everywhere – on social media, in family and friends’ networks. To convince them to stay with us we pay very good salaries and offer a lot of benefits and bonuses. But we are also picky about who we choose. Every teacher has to take difficult English and personality tests and pass an interview,’ says Valentina. Alongside her work at TLC, Valentina is also running a youth NGO called Pro Bono which deals with the issues of youth unemployment, poverty, and discrimination. Most projects are organized in partnership with European NGOs gathering young people from different corners of the continent. 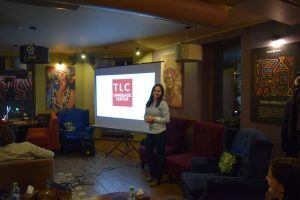 ‘My aim is to inspire young people in Moldova to be pro-active and implement joint initiatives with their European peers. In the past we conducted the project Fit to Work dedicated to youth unemployment, which brought together 30 participants from eight different countries. Together they came up with specific steps to tackle this problem in their communities,’ says Valentina. Another important area of Pro Bono’s work is access to education. Every summer Valentina gives free English classes to students from orphanages and underprivileged families. ‘It’s a catch 22 situation – in order for these students to have opportunities in life they need to speak English. But in order to speak English they need to be given chances to learn,’ notes Valentina. ‘I’d like to break this cycle and make sure that every student can develop his or her talents and skills’. During the summer of 2016 the FLEX alumna had a chance to exchange professional experiences with other young entrepreneurs from all over the world at the Global Village for Future Leaders of Business and Industry at Lee Iacocca Institute at Lehigh University. You can read more about the Global Village program here. ‘There I met some wonderful people who, despite their young age, had already achieved a lot – and are so enthusiastic and inspiring. I learned a great deal from them. For example, I met two social media experts, one from Palestine and one from the UK, who gave me really useful advice on how to attract online audiences to our business,’ shares Valentina. Motivated by the experiences at the Global Village, Valentina is now planning to expand her school into other regions of Moldova. At the moment she is developing new online courses and gathering ideas for future social projects. ‘We were chosen to participate in the FLEX program, because of our potential and motivation. We have lived in a different culture and now it’s time to bring our knowledge back to the community. Let’s make the world more tolerant and accessible for everyone!’ Valentina addresses the FLEX alumni community.